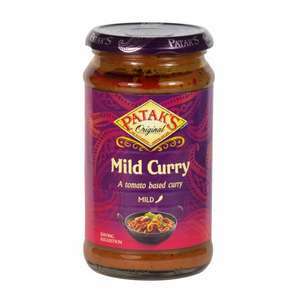 was £0.69 Create a delicious meal for the whole family to enjoy with Patak's Mild Curry Sauce. This 400g bottle is bursting with authentic flavours of tomato and subtle spices. It's perfect when served with rice. Absolutely delish, no better way to enjoy fast, easy, pre-made curry sauce. It a real Indian curry sauce this sauce is is one of the worst it’s all went down hill when parks family sold it to some venture capitalists. The same company that has asset stripped some top brands like Javan faz. Blue dragon , pilsburrys, there just interested in removed ingredients to make it more profitable for them and hoping the customers can’t tell .